(SYRIA) S. Con. Res. 32: Introduced 2/25 by Durbin (D-IL) and Rubio (R-FL), “A concurrent resolution expressing the sense of Congress regarding the need for investigation and prosecution of war crimes, crimes against humanity, and genocide, whether committed by officials of the Government of Syria, or members of other groups involved in civil war in Syria, and calling on the President to direct the United States Permanent Representative to the United Nations to use the voice and vote of the United States to immediately promote the establishment of a Syrian war crimes tribunal, and for other purposes.” Referred to the Committee on Foreign Relations. (IRAN – PASTOR ABEDINI) Portman et al letter: On 2/25, Sen. Portman (R-OH) and 64 other Senators sent a letter to President Obama urging him to, “act on statements by Iranian Foreign Minister Javad Zarif last month. The Minister’s statement, a first by an Iranian official, raised clemency as an alternative to Pastor Abedini serving his eight year prison sentence in full.” Portman’s press release about the letter is available here. (INVITING BIBI TO SPEAK TO CONGRESS) Lamborn et al letter: On 2/18, a total of 96 House members signed a letter addressed to Speaker Boehner (R-OH) and Minority Leader Pelosi (D-CA), urging them to invite Netanyahu to address Congress when he comes to town for the AIPAC conference (this coming weekend). The signers broke down as follows: 17 Democrats (two Jewish Democrats – Sherman, D-CA, and Schneider, D-IL), and 79 Republicans (conspicuously absent were Cantor, R-VA, the only Republican who is Jewish, and Ros-Lehtinen, R-FL). As documented in previous editions of the Round-Up (here and here) – and as covered extensively in the media – efforts to pass new Iran sanctions in the Senate appeared to have died down following the State of the Union. At that point, it became clear that no more Democrats were going to cosponsor the AIPAC-backed new sanctions bill, S. 1881 (meaning no automatic filibuster-proof or veto-proof majority). Moreover, numerous senators who had cosponsored the bill, including the bill’s lead Democratic sponsor, Sen. Menendez (D-NJ) were now indicating that they did not believe it needed to be voted on at this time. For its part, AIPAC, the prime external mover behind the bill, publicly backed off pressure for a vote on the measure. Most people thought that for now, at least, the campaign for new Iran sanctions was over. So far, GOP Senators have used the demand for Iran sanctions to block consideration of S. 1752 (the Military Justice Improvement Act of 2013), S. 1917 (the Victims Protection Act of 2014), and S. 1982 (the Comprehensive Veterans Health and Benefits and Military Retirement Pay Restoration Act of 2014). It is not clear with whom this effort is supposed to score points for the GOP. As noted above and in much of the media coverage of this latest Hill drama/farce, AIPAC has publicly backed off pressing for a vote on sanctions at the present time (and reportedly was not involved in the decision of Senate GOP members to launch this nakedly partisan effort). The bills that are being held hostage are bipartisan and enjoy wide popular appeal among American voters. Most bizarrely, it is hard to see how the GOP – which portrays itself as the caring deeply about the U.S. military – will be able to justify their strategy to angry veterans and their families. On February 24, Reid (D-NV) sought unanimous consent to bring S. 1752 and S. 1917 to the floor for debates and votes (these are competing bills). The effort was blocked by an objection from Sen. Moran (R-KS). Moran noted that these two bill are each stand-alone versions of amendments offered last year to the NDAA, and insisted that if these bills are coming to the floor, Reid must also permit a vote on Iran sanctions legislation offered by Sen. Kirk (R-IL) as an amendment to the NDAA (S. Amdt. 2295, offered by Kirk (R-IL) and an all-GOP line-up of cosponsors consisting of McConnell (R-KY), Cornyn (R-TX), Rubio (R-FL), Graham (R-SC), Ayotte (R-NH), and Moran (R-KS). As noted in the 11/22/13 edition of the Round-Up, “This is a ‘poison pill’ amendment (which APN is actively lobbying against, see our Action Alert, here), which would effectively kill Iran diplomacy and any chances for an agreement and leave only the military option on the table. It would also give a green light to Israeli military action that would embroil the U.S. in another Middle East war. Additional analysis of the amendment is available here, from NIAC.”) That objection meant that S. 1752 and S. 1917 could not be brought up. In a lengthy floor debate that same day, Sanders (I-VT), chair of the Senate Veterans' Affairs Committee, made the case that the GOP should not play partisan politics with this important bill. A parade of GOP senators disagreed: Rubio (R-FL), Cruz (R-TX, who linked the need for new Iran sanctions to the current Venezuela crisis), Cornyn (R-TX), Graham (R-KS), and Chambliss (R-GA), and in a separate statement, Ayotte (R-NH). In response, Reid (among other things) placed into the record a statement from the leader of the American Legion saying that Iran sanctions have no place in a U.S. Senate debate over legislation that aims to expand health care, education opportunities, employment and other benefits for veterans. On February 27, Graham (R-SC) tried to bring up the Burr amendment to the veterans bill, and GOP members once again took to the floor in support of the Burr amendment and an immediate vote on new Iran sanctions: Coats (R-IN), Moran (R-KS), Isakson (R-GA), Hoeven (R-ND), and Graham (R-SC). “I hope all the veterans groups have witnessed this contortion the Republicans have done to defeat this bill--because it will be defeated. That was their aim from the very beginning. Like our support for veterans, the Senate's Iran sanctions policy has historically been solidly bipartisan. The idea of Iran obtaining a nuclear weapon is unthinkable. Democrats and Republicans always worked together on this policy. Iran should not have nuclear capability. We all agree on that--I hope so at least. I know on this side of the aisle we do. But it seems Republicans are trying to erase that history and politicize an issue that has historically been above partisanship. Every year, AIPAC holds a huge conference in Washington. As part of this conference, AIPAC brings thousands of conference-goers to Capitol Hill to lobby the House and Senate in support of AIPAC-backed legislative initiatives. Every year, there are 2 initiatives in the House, two in the Senate. For years now, these have consisted of an initiative focused on Iran sanctions, and another focused on U.S. support for Israel. These initiatives generally consist of bills (binding legislation) or resolutions (non-binding statements of policy that often later make their way into future binding legislation). In the past, the AIPAC’s legislative initiatives are well-known in advance of the conference. This year has been different. With the conference opening on March 2 (Sunday), as of this writing (mid-day February 28), AIPAC’s 2014 legislative initiatives remain something of a mystery, including, some suggest, to AIPAC itself. An Iran Initiative: In the House, AIPAC’s Plan B (after the push for a vote on new sanctions in the Senate failed) was reportedly a House resolution laying our red lines for a deal with Iran, along the lines of what failed to move in the House last year (a Cantor-Hoyer resolution – details of that effort, including resolution text, are available here). The effort to get bipartisan support for any version of an AIPAC-acceptable resolution has reportedly failed (thus far). AIPAC has reportedly moved on to Plan C – an effort to get a bipartisan sign-on letter laying out more or less what AIPAC wanted in a resolution. As of this writing, this effort, too, has not met with success – but efforts are continuing. In the Senate, there were rumors at one point of a possible non-binding resolution. More recent there is talk about a letter, although given the rather stunning partisan action on Iran this week, it may be even harder to get consensus on a letter in the House than it has been thus far in the Senate (after using Iran sanctions to kill the veterans bill, GOP senators may be too far out on a limb to settle for a letter, and Democratic senators have less reason than ever to agree to sign on to something that will undermine the Obama Administration’s Iran effort). At the same time, there are rumors that AIPAC is reluctant to have any non-binding Iran initiative, not wanting to offer any Senators an “out” to withdraw support for, or to continue to refrain from supporting, S. 1881. It is being reported that instead of lobbying a new Iran-focused initiative, AIPAC will lobby S. 1881, shoring up those who already cosponsored the bill and pressing those who have not to done so to do it now (arguing that even if the bill doesn’t come to a vote immediately, cosponsoring the bill sends a tough message to Iran). An Israel Initiative: In both the House and Senate, it appears that AIPAC’s ask will be, for a second year in a row, legislation to enhance the U.S.-Israel strategic relationship (legislation nicknamed by APN the “best-allies-with-benefits bill.” See section 4, below, for details. The House version of this bill, HR 938, could reportedly be brought to a vote on the House floor as early as Monday. Given what is happening in peace negotiations, under normal circumstances AIPAC would have been expected to promote resolutions aimed at staking out red lines for U.S policy vis-à-vis a peace agreement and slamming the Palestinians for bad behavior of some kind (incitement, intransigence, going to the UN, pursuing national unity, etc…). This is the sort of thing they have done in the past (for example: in 2007 with the Nelson-Ensign letter; 2008 with the Landrieu-Collins/Hoyer-Blunt-Berman-Ros-Lehtinen letters; 2009 with the Dodd-Isakson and Cantor-Hoyer letters; 2010 with Boxer-Isakson and the Hoyer-Cantor-Berman-Ros-Lehtinen-Ackerman-Burton letters; and 2011 with the S. Res. 185 and H .Res. 268). However, after the recent bruising AIPAC experienced over directly attacking the Obama Administration’s Iran policy, some observers suggest that, notwithstanding a desire to back Netanyahu and pressure Obama and Kerry to not pressure Israel in peace talks, now may not be a good time for AIPAC to promote another legislative initiative that could be seen as confronting the Obama Administration – and that could easily become a partisan effort. Rumor has it that AIPAC conference-goers will instead bring to the Hill an amorphous ask related to supporting Israel in its quest for peace. There has been a lot of media coverage reporting AIPAC’s recent failure to get the Senate to pass new Iran sanctions, both before and after the achievement of the interim deal in Geneva. Some reporting has noted that this defeat comes on the heels of AIPAC lobbying Congress unsuccessfully to support military action against Syria, and AIPAC’s perceived failure to block the confirmation of Chuck Hagel as Secretary of Defense (in fact, AIPAC was harshly criticized by many on the Right for not lobbying against Hagel’s confirmation). Senate Iran Resolution – S. Res. 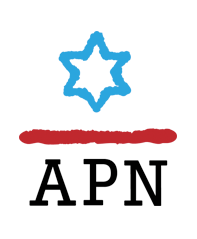 65: This resolution – nicknamed the “Iran backdoor-to-war" resolution by APN and other groups concerned about the language it contained – was a partial defeat for AIPAC. Most people assumed that a non-binding resolution about getting tough on Iran would sail through with a huge number of cosponsors and pass by unanimous consent, as things like this have done in the past. Instead, the measure, introduced 2/28/13, hit a wall. It got a lot of cosponsors, but because of “backdoor to war” concerns, it wasn’t brought up for a vote. Instead, on 4/16/13 it was brought before the SFRC for a mark-up, and the SFRC amended the resolution to close (to some degree) the backdoor to war. Only after that, on 5/22/13, was the resolution passed by the Senate. AIPAC issued a press release declaring its happiness at seeing the resolution pass, completely ignoring the fact that before passing it, the Senate significantly altered – and moderated – the most important element of the resolution. For further details of this saga, see the 4/18/13 edition of the Round-Up. Senate Israel Bill – S. 462: This bill – dubbed (by me) the “best-allies-with-benefits” bill – was a total defeat. S. 462 seeks to create a new, super-ally category just for Israel (without explaining what it would entail). It would also legislate Israel into the visa waiver program (permitting Israelis to travel to the U.S. without a visa) and (seemingly) absolve Israel of responsibility for not discriminating against US travels to Israel. Again, many assumed that this bill would sail through the Senate, given that it is about enhancing U.S.-Israel strategic relations. Instead, it never went anywhere, not to the floor for a vote or to any committee for hearings. It appears to have gotten held up, instead, over the visa waiver issue. It seems that U.S. senators, while eager to show support for Israel, are not eager to pass a bill that appears to approve of Israel discriminating against their constituents. If AIPAC takes it up again this year, it seems likely Boxer (D-CA) will have to agree to amend the visa waiver provision. House Iran Bill – HR 850: This bill – a piece of major new Iran sanctions legislation – was a partial victory, but ultimately a much bigger defeat for AIPAC. The bill (introduced 2/27/13) was slow to move in the House, with no formal action taken until 7/30/13, when it was reported out of the HFAC and discharged by all other committees of jurisdiction. The next day it was passed by the House by a vote of 400-20 (with one abstention). This was AIPAC’s partial victory. However, it was clear from the start that HR 850 was not intended to be a symbolic measure passed only in the House; the goal was to see it brought to a vote in the Senate as well, and ultimately to see it (even if amended by the Senate) passed into law. Instead, HR 850 died in the Senate, a defeat for AIPAC that turned out to be an early sign of what was to come in the bigger battle over Iran sanctions that started last fall and continued through this week. House Israel Bill – HR 938: This bill – like its Senate companion, dubbed by APN the “best-allies-with-benefits” bill – was like its Senate companion a total defeat. Like its Senate companion, it reportedly got bogged down over the visa waiver issue. This is ironic, because the House version of the bill, with respect to the visa waiver issue, was not especially problematic. It did not legislate Israeli inclusion in the program, nor did it offer Israel a pass on how it treats American travelers. However, some House members, reportedly led by Sherman (D-CA), who had earlier introduced his own bill, HR 300, to legislate Israel into the visa waive program, insisted that the bill be amended to make Israel’s inclusion in the visa waiver program mandatory – i.e., to make non-problematic language extremely problematic (during the markup, Sherman indicated that he hoped the language would be amended to do this during a future House-Senate conference on the bill). The upshot of all of this is that HR 938 languished for almost a year without any action take on it, including in the HFAC (led by Ros-Lehtinen, R-FL, who reportedly was sympathetic to the idea of making the language worse). It was finally passed by the House Foreign Affairs Committee on 1/29/14 (without any change to the visa waiver language and with little fanfare), clearing the way for it to come to the floor for a vote next week during the AIPAC conference. 3/6: (Rescheduled from 2/13) The Senate Foreign Relations Committee is scheduled to hold a two-panel hearing entitled, “Syria Spillover: The Growing Threat of Terrorism and Sectarianism in the Middle East.” Panel 1 witnesses are: William Burns, Deputy Secretary of State; Derek Chollet, Assistant Secretary of Defense for International Security Affairs; and Matthew Olsen, Director of the National Counterterrorism Center. Panel 2 witnesses are: Daveed Gartenstein-Ross, Foundation for Defense of Democracies; and Matthew Levitt, Washington Institute for Near East Policy. 3/5: The House Foreign Affairs Committee’s Subcommittee on Terrorism, Nonproliferation, and Trade will hold a hearing entitled, “Threats to Israel: Terrorist Funding and Trade Boycotts.” Witnesses will be Edwin Black (an author), David Pollock (WINEP) and Steven Perles (a lawyer). 3/4: The House Foreign Affairs Committee’s Subcommittee on Terrorism, Nonproliferation, and Trade and Subcommittee on the Middle East and North Africa will hold a hearing entitled, “Iran’s Support for Terrorism Worldwide.” Witnesses will be Pete Hoekstra (The Investigative Project on Terrorism), Matthew Levitt (WINEP), and J. Matthew McInnis (AEI). 2/26: The House Armed Services Committee held a hearing entitled, “The Posture of the U.S. Northern Command and U.S. Southern Command.” Witnesses were Gen. Charles Jacoby, Commander, U.S. Northern Command and North American Aerospace Defense Command (statement) and Gen. John F. Kelly, USMC Commander, U.S. Southern Command (statement). Both statements touch on Iran. 2/25: The Senate Foreign Relations Committee’s Subcommittee on Near Eastern & South/Central Asian Affairs held a hearing entitled “Lebanon at the Crossroads.” Witnesses were: Lawrence Silverman, Acting Deputy Assistant Secretary of State for Near Eastern Affairs (Testimony); Maj. Gen. Michael T. Plehn, DOD Principal Director for Middle East Policy (Testimony); Paul Salem, Vice President, Middle East Institute (Testimony), and Aram Nerguizian, CSIS (Testimony). Video of the hearing is available here. Smith (R-NJ) 2/25: Statement on the worldwide prosecution of Christians, including in Middle East countries.